Sleepbox is a modular sleeping capsule that offers many of the comforts of a hotel room in a box about the size of a small garbage dumpster. Intended for use in airports, train stations, and hostels, the capsules feature wifi, luggage storage, and up to three self-changing beds. 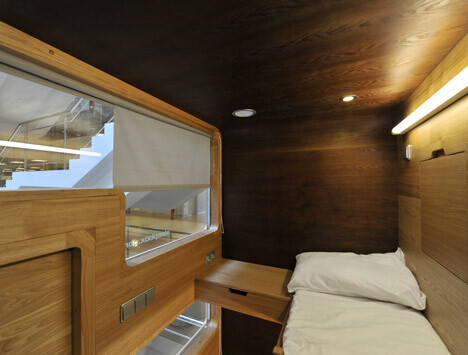 Sleepbox is by the Russian Arch Group Architectural Bureau. We believe that urban infrastructure should be more comfortable. For this, we have developed SLEEPBOX. It is intended primarily to enable a person to sleep peacefully. It provides quick escape from the crowd without wasting time searching for a hotel. 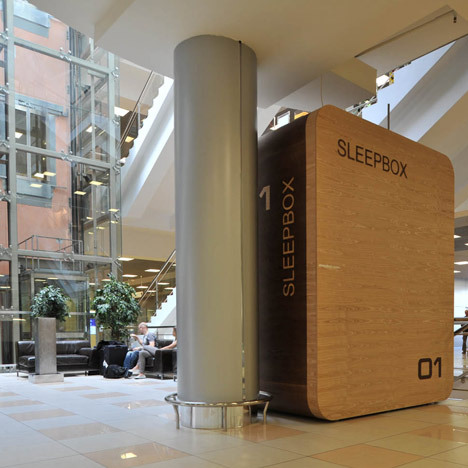 SLEEPBOX may be used both in public and private spaces, for rent or for internal needs.